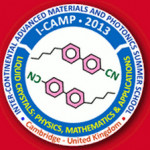 The Inter-Continental Advanced Materials for Photonics Summer School on Liquid Crystals will be held in Cambridge on 26 June – 6 July 2013. The deadline for registrations has now been extended to 15 June. For further details see the I-CAMP 2013 website.